As if the “buy with one click” option wasn’t dangerous enough, now Amazon is allowing customers to add items to their shopping carts via Twitter by using hashtags. “No more switching apps, typing passwords, or trying to remember items you saw on Twitter,” says a female voiceover in an ad explaining the new feature (after the jump), and it’s clear from her exasperated tone that such tasks have obviously been the most inconvenient, exhausting, intolelrable parts of consumers’ lives. Finally, our cries for relief have been heard! 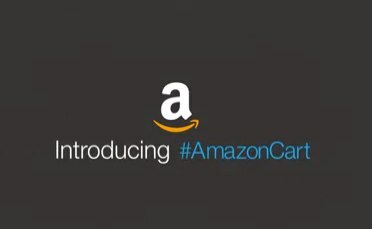 Once you link your Amazon to your Twitter account, whenever you see an Amazon product link in a tweet, you can add it to your cart by replying to the tweet with hashtag #AmazonCart. It’s basically another virtual way to make impulse purchasing even easier than grabbing that candy bar at the Target checkout. Aside from impulse purchases, though, this just seems to us like one of those “improvements” that might actually be less convenient than the traditional process. Since you have to reply to a tweet that already has an Amazon product link in it, that means unless you happen to stumble upon a tweet that contains a link to a product you need or want, you’d have to search for one. At which point, if you know you need diapers, why not just go to Amazon and buy them? For the day-to-day needs, we don’t imagine this new feature will be terribly useful; but to make impulse buying one step easier, it’s diabolically simple.